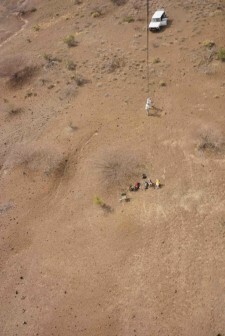 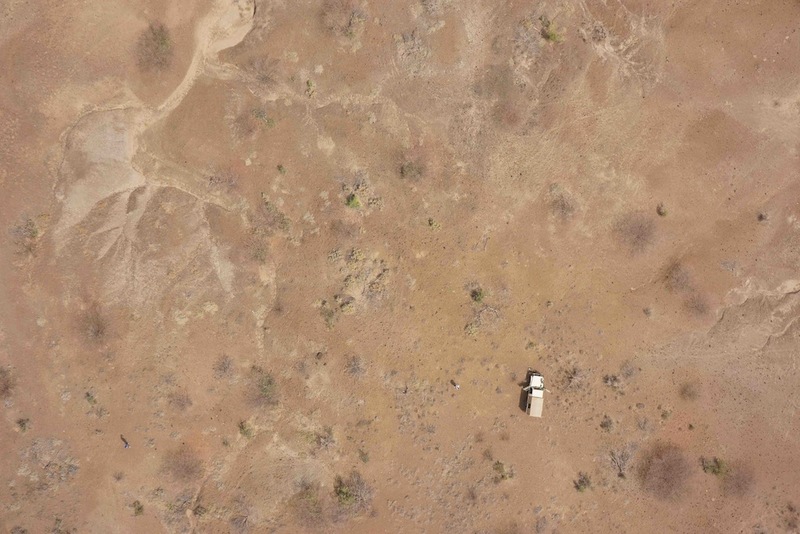 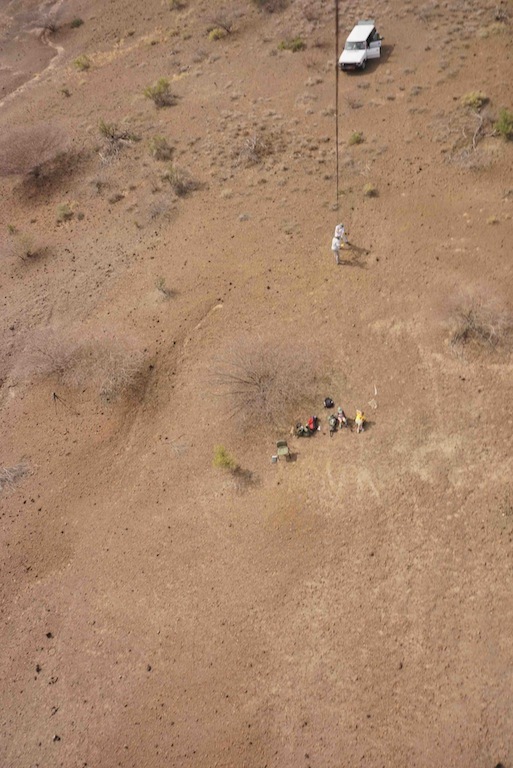 One of the techniques we use to document a site that we excavate is to get an aerial view from above and so we take advantage of the good wind we have and suspend a camera from a kite. 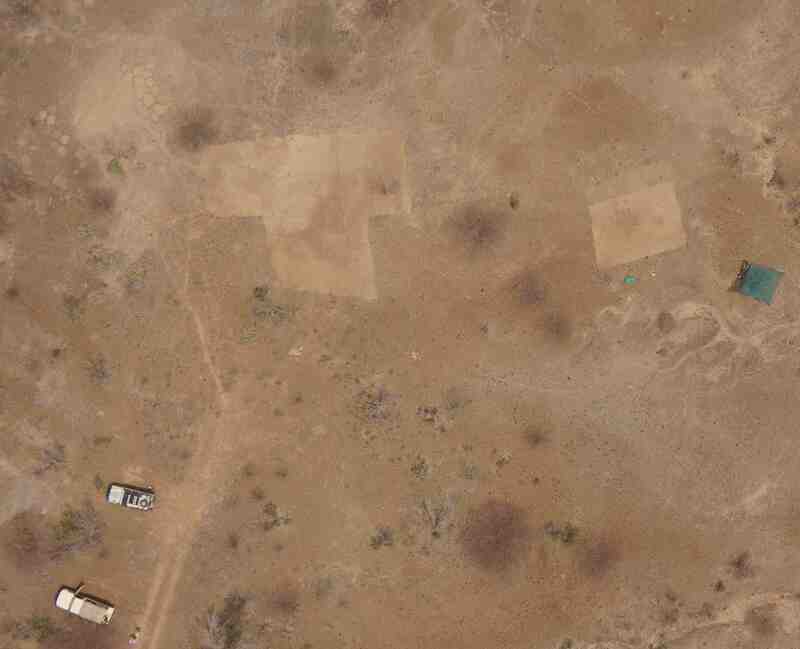 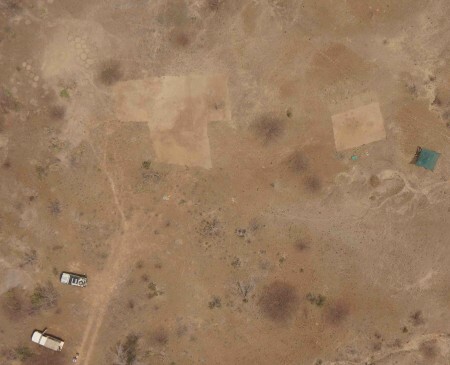 If we sent the camera up high enough you can get a wide area in quite good resolution and then place this more detailed image into Google Earth or just to use it for plotting out the squares and to document the progress of the excavation. 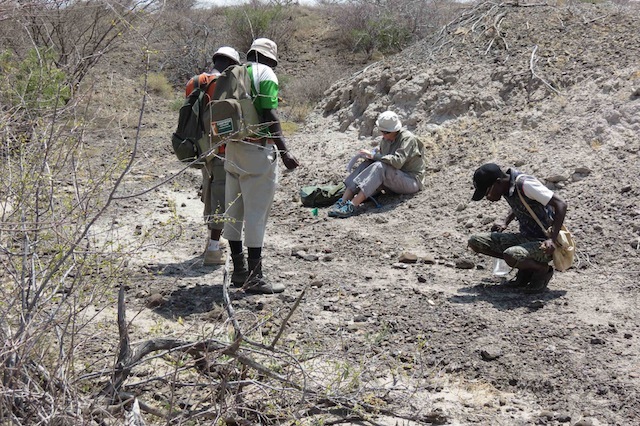 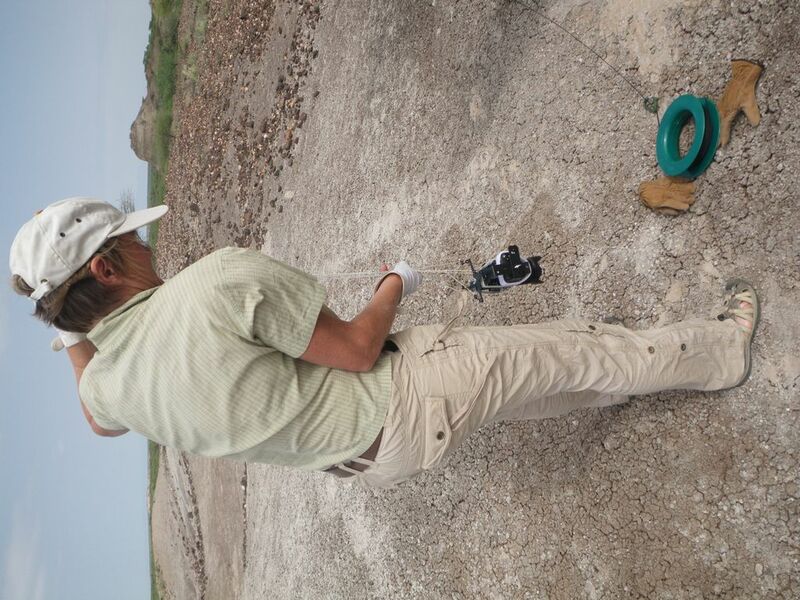 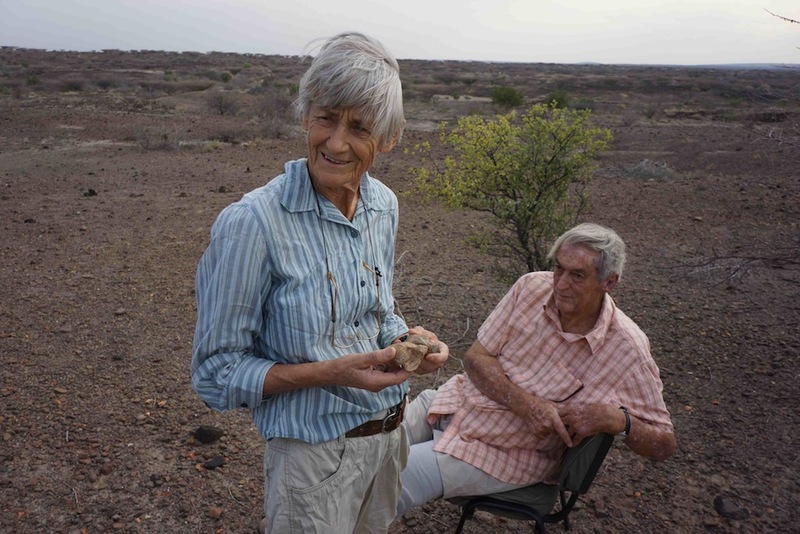 Several weeks ago we began an excavation of a large area that we have recovered a hominid specimen from. We took some time to plot out the 10 x 10 mts squares with pegs and string and to get the kite and camera rig up above it. 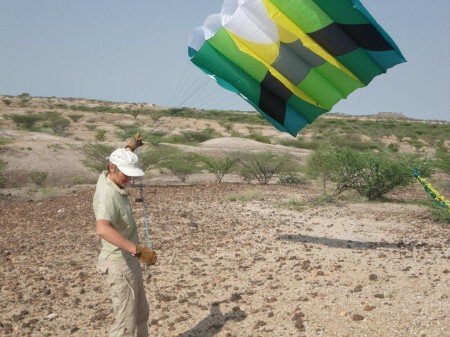 We fly the kite with a very simple rig that we got from Brooxes Kite Aerial Photography shop. 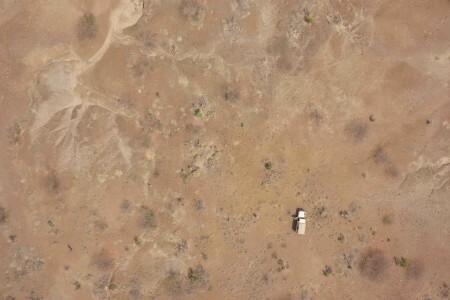 The camera we use is a Sony Nex 7 and this is triggered by a small gentled Auto Infra Red shutter release. Its designed to fire every 2 seconds so when we bring the camera back to ground there are plenty of reject shots but usually some that are what we need.